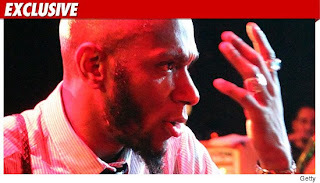 Rapper Mos Def is accused of recently bailing on a gig 24 hours before it was set to go off and causing the promoter to take a $57,000 hit ... this according to a new lawsuit. According to the documents -- filed today in L.A. County Superior Court and obtained by TMZ -- Mos was paid a $12,500 deposit to do a show at the Kool Haus in Toronto back on February 25. In the suit, the promoters, REMG Entertainment, claim Mos suddenly backed out of the concert on February 24 ... and failed to pay back the $12.5k. REMG claims it's another $45,000 in the hole for "lost customers, sales, and goodwill" -- and is suing Mos and his crew for at least $57,500.